A warm, moist cloth over the affected ear. Nonprescription eardrops with a local anesthetic. About 80 percent of children's ear infection resolve on their own, without using antibiotics. Alternative ear infection treatments abound on the internet and in books and magazines. They include chiropractic adjustments, homeopathy, herbal eardrops and others. Perhaps you're seeking alternative treatments for your or your child's ear infection because you're concerned about using antibiotics or because your doctor has recommended watchful waiting. You may turn to alternative treatments to ease discomfort. 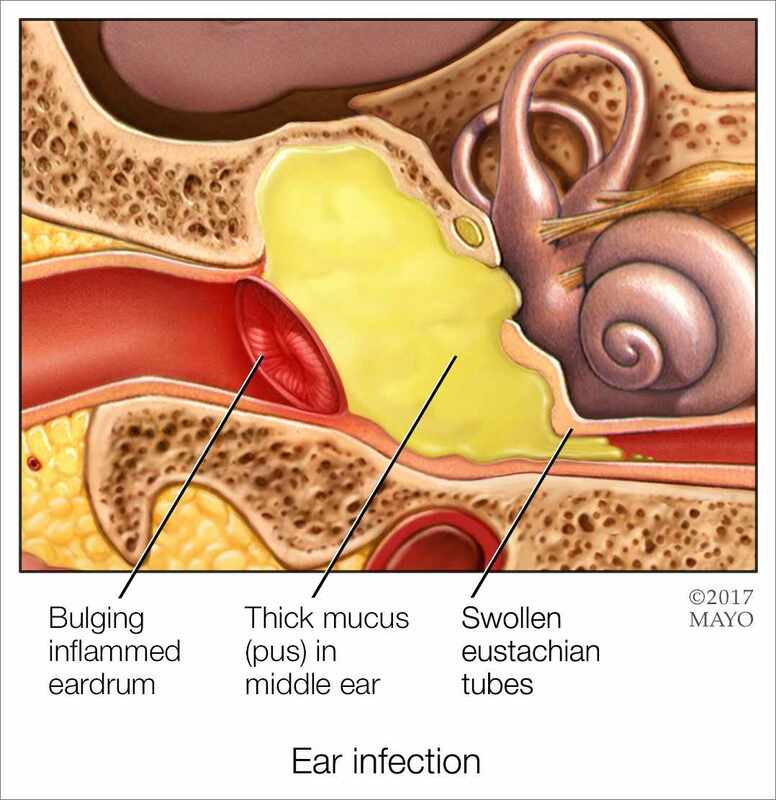 In most cases, however, researchers haven't studied alternative ear infection treatments adequately using widely accepted scientific methods. 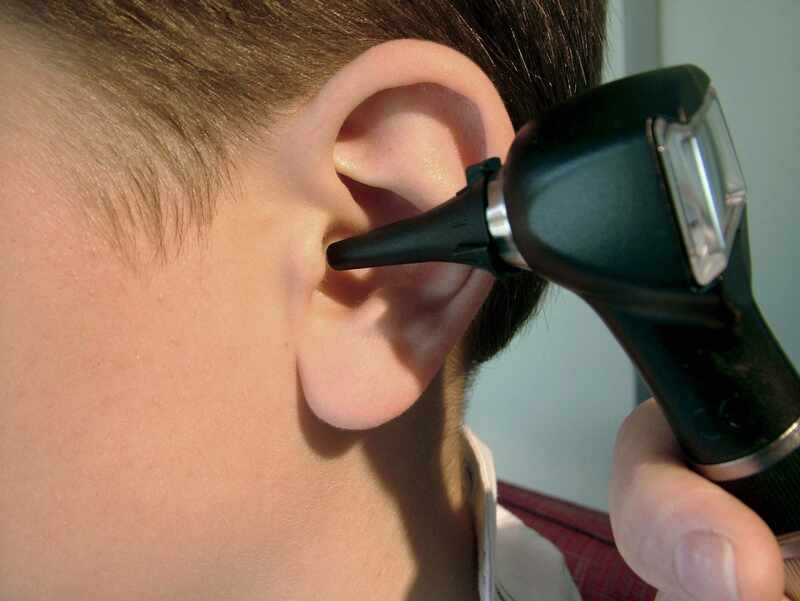 For this reason, alternative ear infection treatments aren't generally recommended for use in children. Some alternative ear infection treatments have been studied with mixed results. Homeopathy. A controversial treatment for ear infection, homeopathy involves using highly diluted preparations of natural substances, typically plants and minerals, to treat symptoms of illness.Study results have been mixed, and it remains unclear whether this treatment is of any benefit. Many such products aren't monitored and are subject to limited regulatory oversight by the Food and Drug Administration. Chiropractic treatment. This involves manipulating the body so that the skeleton is in alignment. Proponents of chiropractic treatment claim that certain manipulations can prevent or cure ear infections.No rigorous long-term studies have proved the effectiveness of chiropractic treatment for ear infections. And children may be at increased risk of injury from certain manipulations. Xylitol. Found in many fruits and used as a natural sweetener in chewing gum, xylitol has been found in some studies to help prevent ear infections but not treat them. To be effective, xylitol needs to be taken in high doses. Abdominal pain and diarrhea are common side effects. Probiotics. Certain strains of these "good" bacteria, which occur naturally in the body, may help prevent ear infections in infants and children. Studies have been done on both oral probiotics and nasal sprays with mixed results. Probiotics generally are considered safe and are not known to cause side effects.Other alternative ear infection treatments that show some possible effect include traditional Chinese medicine, such as acupuncture, and herbal eardrops. But more study is needed to determine the effectiveness and safety of alternative treatments. Learn about treatments. Understand your options and what's involved. Find out what benefits their practitioners claim the treatments provide and the potential risks or side effects. Find out what the treatment costs. Alternative therapies may not be covered by medical insurance. Assess the credentials of anyone who advocates alternative medicine. Gather information from a variety of sources and evaluate the information carefully. Tell your doctor. It's important for your doctor to know if you decide to use an alternative therapy. Some treatments — such as herbal supplements — may alter the effect of other therapies or medications. Others may create dangerous drug interactions. If you bottle-feed, hold your baby in an upright position. Avoid propping a bottle in your baby's mouth while he or she is lying down. Don’t put bottles in the crib with your baby. This information is provided by Mayo Clinic Staff.